Roberto Danubio, 6th Dan Wadokai, is President and Chief Instructor of the Swiss Wadokai Karatedo Renmei (SWKR). He played a leading role in the development of Wadokai in Switzerland. In Wadokai circles, he is recognized as one of the leading technical experts in Wado Ryu Karate in Europe. His most influential instructors were Teruo Kono (Germany), 8th Dan Wadokai, and Shingo Ohgami (Sweden), 8th Dan Wadokai. His other instructors include Hideho Takagi (Japan), 8th Dan, and Toru Arakawa (Japan), 9th Dan JKF. In 2006, Roberto Danubio successfully completed his examination before the Japan Karatedo Federation of Wadokai Examination Commission in Nagoya, Japan, receiving the rank of 6th Dan, with honors. He is one of the few licensed Japan Karatedo Federation of Wadokai Karate instructors and examiners in Europe. Chapter 1. Inoshishi– Details & pictures of his early life in Japan. Chapter 2. The Enoeda Era – Enoeda’s Karate in the UK . Chapter 4. 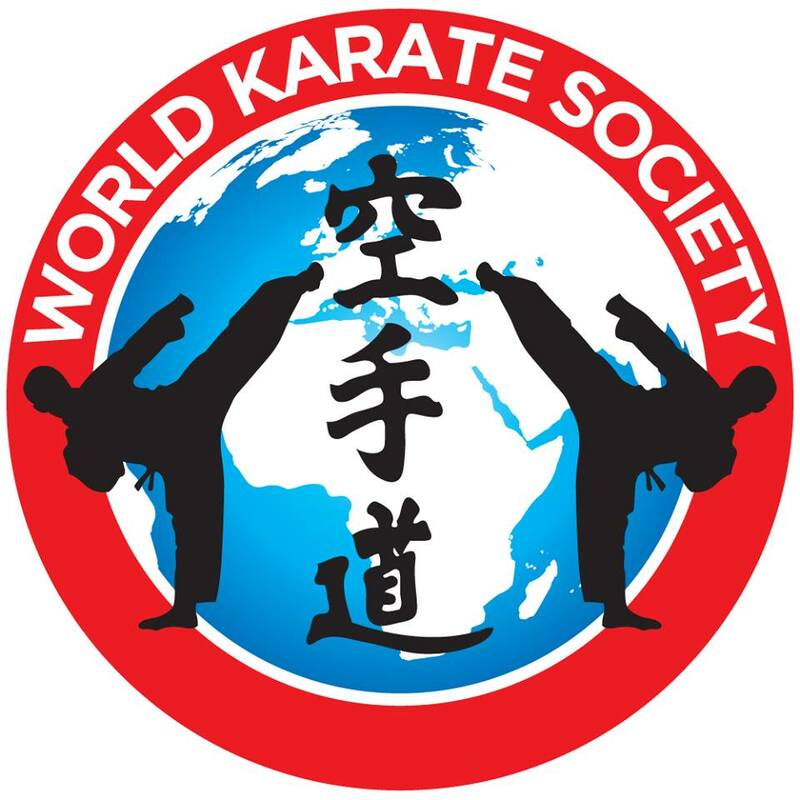 Crystal Palace – Karate Courses which set the standard. Chapter 5. K1 JKA – The story of the famous numberplate. Chapter 6. Golf – Comical Enoeda golf stories and pictures. Chapter 7. The Books and Videos – Mags, books and videos. Chapter 8. Get a Point! – The Lessons – Pictures of classes. Chapter 9. Sunset – The Legacy – The Enoeda world effect. 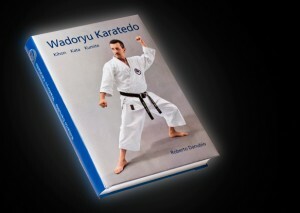 * If you trained with Sensei Enoeda you will want this book. If you never trained with Sensei Enoeda you will need this book. wonderful tribute to Enoeda. Congratulations on a fine work that will be a great source and addition to the library of all Shotokan karate-ka”..
Mark Groenwald – Australia – ‘Karate the Japanese Way’……..
“Enoeda was very fortunate to have such a devoted student as Rod Butler. had someone like Rod Butler to create a strong testament to their lives. Master Hideo Matsui – JKA Japan……“I glanced through the book and I was excited to find so many good old pictures, I will read the book this week”. well be a technical and chronological compendium of Master Enoeda’s activity in the art of Karate, but it revealed to be much more than that. The pages of this very well written and brilliantly illustrated book [you will be amazed with the superb quality of the design and photography], Rod Butler opens us the door to the world of Enoeda. His life, personality and the impressions his powerful spirit carved on his friends and students, are accounted with an affection that could only be born from a truthful and lasting sense of admiration and respect”. Paul Willoughby….ISKF Maryland, USA….. “I just finished reading the chapter on the Marshall St. Dojo. This book is captivating. It really makes you feel like you know Mr. Enoeda. I am very sorry to not have met him. The one opportunity I had to travel to the Marshall St. dojo, he was away travelling. I still enjoyed training there. Good place – and BTW, the description of those stairs is no exaggeration. Get this book. It’ll be a collector’s item. in a very comfortable and easy to read narrative about a great Master. on a forthcoming book about the history of Shotokan karate. Not just one more book, but an enjoyable book”. is a must read for any Shotokan practioner. So add it to your collection, read it more than once, and in doing so help celebrate the life of an irreplaceable icon, a valued and respected teacher, a good friend, a loyal husband, and beloved father. While those senior students with a few years of experience under their belt might better appreciate some of the subtle comments regarding what it was like training under Enoeda Sensei both in the dojo and on courses, this book should never the less still appeal to any Shotokan karateka”. 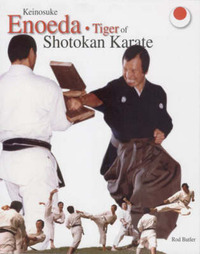 Jon Keeling…Shotomag, USA….” Full of interesting stories of Enoeda Sensei’s public and private lives and including a multitude of pictures, this book is a fine tribute to the “Tiger”. The author was both a senior student and personal friend of this legendary Shotokan master and conducted many interviews and took many photos over the years that formed the foundation of this book”. Víctor López Bondía. Spain…. “I really enjoyed the book. The presentation, design, layout, etc. are excellent. The book is beautifully illustrated and going through its pages one certainly gets to know Enoeda the man and the Karate teacher. I have updated the biography of Enoeda Sensei in my website using the information in your book. Now it is one of the best biographies I have. Sensei Enoeda was such a great Master… I wish I had met him. I wish I could have attended courses at Crystal Palace with some of those prestigious instructors. I have also enjoyed reading your interviews on The Shotokan Way and in Traditional Karate. Consider you have a student, and a friend, here in Spain”. I’ve just read your book in one sitting as I could not put it down! * My renewed interest in Martial Arts saw me researching and remembering my days at Marshall Street which I have to say were a bit fuzzy and not particularly helped by a complete lack of information on the internet re Sensei Tomita and his time at Marshall Street. The information on Tomita in your book is of great value to me as the internet seems to be mistaken as to how long he was at Marshall Street and assistant to Enoeda and which also quite rightly puts him up there as one of the great Karate teachers, a fact which is sadly missing from other accounts of the Enoeda story. Thanks to you also I now remember the lady who took my money several times a week and that sometimes if she was not there it would be Sensei Enoeda who booked us in. I remember also Sensei Kawazoe who trained with us a few times and then occasionally taught us, the stairs up to the Dojo! the changing rooms, the Makiwara on the right as you entered the Dojo and the great feeling of being there. I can’t thank you enough for that. * We were taught by Sensei Enoeda a few times a month. We were comfortable with Tomita. We were not comfortable with Enoeda! His presence scared us and excited us. We trained harder and fiercer generally to sheer exhaustion for a reason that none of us understood. The moves were basically the same as in every lesson but there was a difference and that difference was Enoeda! From my time at Marshall Street I’ve carried three memories of this great man in my head. The first is during a lesson with Tomita who was showing us something really different when Enoeda ran on to the Dojo shouting in Japanese at Tomita. He literally walked Tomita backwards until his back was against the wall and continued to shout at him. Tomita bowed his head. We guessed that Sensei Enoeda was not happy with what we were being shown and when the shouting was over we went back to up and down punching and kicking. I’ve never forgotten the look on Tomita’s face; no embarrassment at being reprimanded in front of his students, but a look of deep regret perhaps sadness that he had upset his mentor. * During the release of a new Bruce Lee film in a Leicester Square cinema I was queuing with Carl in a side street and the pavement was blocked by fans back up towards Shaftesbury Avenue. Looking behind us up the hill we noticed the queue separating down the middle and eventually we saw why. Sensei Enoeda was walking through the crowd as if it wasn’t there until finally he got to us. We’d already decided to bow when he reached us and without stopping he bowed slightly to us and continued. I think only people that know him would appreciate the validity of this event which even to us who knew him was surreal. * To read and to see something that was a forgotten part of my early life was wonderful and I thank you for putting it all together. It has made me really happy to learn that Sensei Enoeda’s life was full of love and friendship everywhere and to read so much about Sensei Tomita.